Gonzaga University is No. 1 where it matters most: the classroom. The NCAA made it official this week with the release of its Annual Progress Rate, a multiyear measure of academic progress. With nine of its 15 teams posting perfect scores, Gonzaga finished with an overall rolling average of 998, a school record that left it tied with Villanova and Holy Cross, and outranking 344 other schools in Division I. “We have always been striving for academic excellence, but we’ve taken it to a different level in recent years,” GU Athletic Director Mike Roth said Thursday. For some schools, the APR is employed as a stick. Fall below a 930 and you risk penalties from scholarship limits to loss of postseason play. 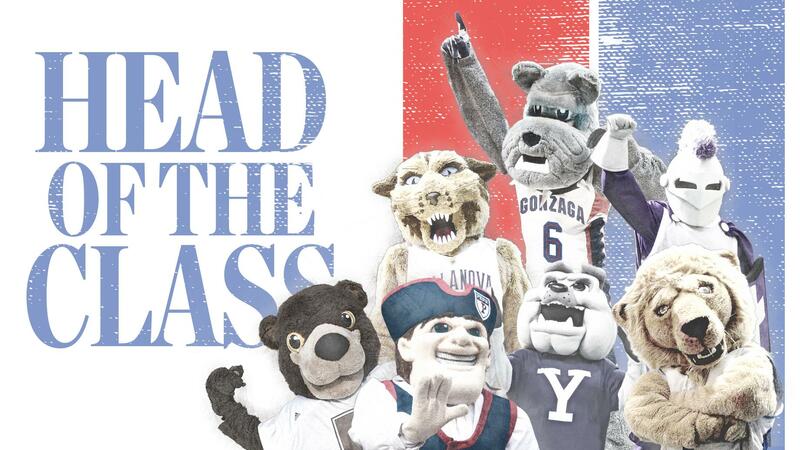 Not so at GU, where the APR is confirmation that the Zags are doing it right. All 15 GU teams had perfect scores of 1,000 during the 2016-17 year. The 998 mark is 15 points better than the NCAA multiyear average of 983 and six better than any school in the West Coast Conference. The Zags are in good company. The top 10 also includes Ivy League schools Brown, Yale, Columbia, Dartmouth and Penn, plus Colgate and Stanford. Those numbers are built on the sacrifices of many, and Roth tried to thank them all – from the faculty to the coaches to the academic-support personnel, but especially GU’s roughly 300 student-athletes. “As I tell the recruits, nobody is going to take a test for them, just as no one is going to make a putt for them or hit a jump shot,” Roth said. “Ultimately, it’s up to the student-athlete, and it’s mind-boggling how we do on both sides of that, winning on the court and in the classroom,” Roth said. Sometimes, it happens on the same weekend. On May 11, several GU distance runners spent the day taking final exams before boarding a bus for a six-hour ride to Portland. A day later, two of them qualified for the NCAA West Regional Preliminaries. “They’re exhausted, but somehow they find the energy to get a performance that gets them to the NCAAs,” marveled Pat Tyson, GU’s director of cross country and track and field. Even more impressive, some of Tyson’s athletes compete from August to June. There’s cross country in the fall, indoor track in winter and outdoor track in the spring. Despite the time commitment, all four teams – cross country and track for men and women – posted perfect scores of 1,000. For today’s student-athletes, there’s seldom any downtime. Recalling his playing days, GU women’s tennis coach D.J. Gurule could spend a few late nights studying. Not anymore.